The iconic bullpup-style Steyr AUG has been one of the most recognizable rifles in the world since its adoption by the Austrian army in 1977. 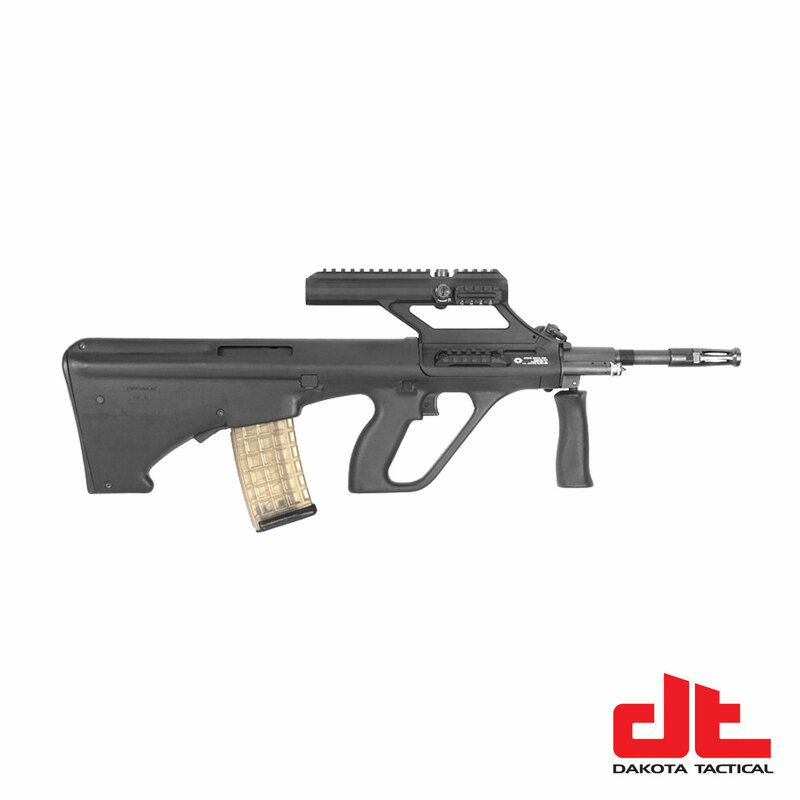 Now available for civilian use as the Steyr AUG A3 M1, it is a semi-automatic ambidextrous rifle platform with adjustable short-stroke gas-piston operation chambered in 5.56x45mm (.223 Remington). Length of pull: 15 in.